Yog shibir at MGM by Pantajali Yog Samiti with Eye donation team. 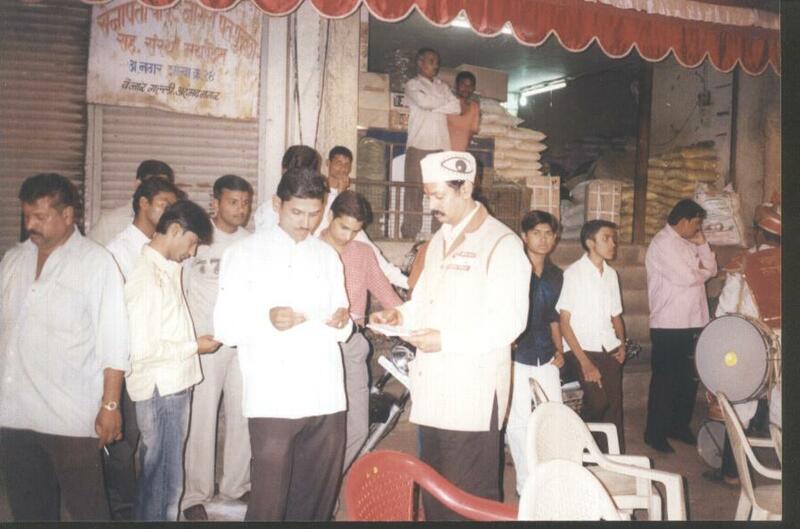 Here we distributed more than 5000 pamphlets for eye donation. Here, 149 eye donors signed their consent letters. Ad. Kishor Soni getting eye donation forms filled with one of the members of Vyankatesh Pariwar at Patanjali Yog Samiti. Birthday of Somnath Bombale at Gulmandi with Eye donation team. Here 30 eye donors signed their consent letters. Bhaishriji Rameshbhai Ozaji’s Katha at Ayodhyanagari, Aurangabad. Our team met him personally, received his blessings and requested him to speak on the importance of eye donation to his audience in his katha. Here we distributed more than 50,000 pamphlets for our eye donation campaign. Mr. Kishor Soni distributing pamphlets of eye donation with some of the Vyankatesh Pariwar members. Shri Rameshbhaiji Ozha gaining information of eye donation from Ad. Kishor Soni. Late Lala Jaiswal’s death Anniversary was celebrated with the Eye donation team of Mr. Kishor Soni. Here, 26 eye donors signed their consent letters. We have created awareness ’bout eye donation in the whole city of Ahmednagar by taking part in procession of Goddess Gangaur. It’s a unique marriage of lord Shankar & goddess Parvati. 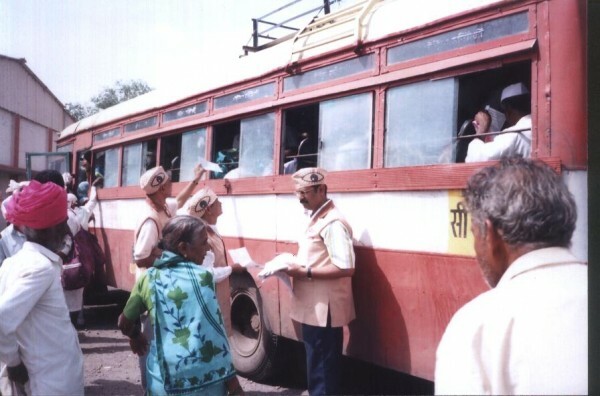 We distributed more than 1,500 pamphlets of Eye donation . Ad. 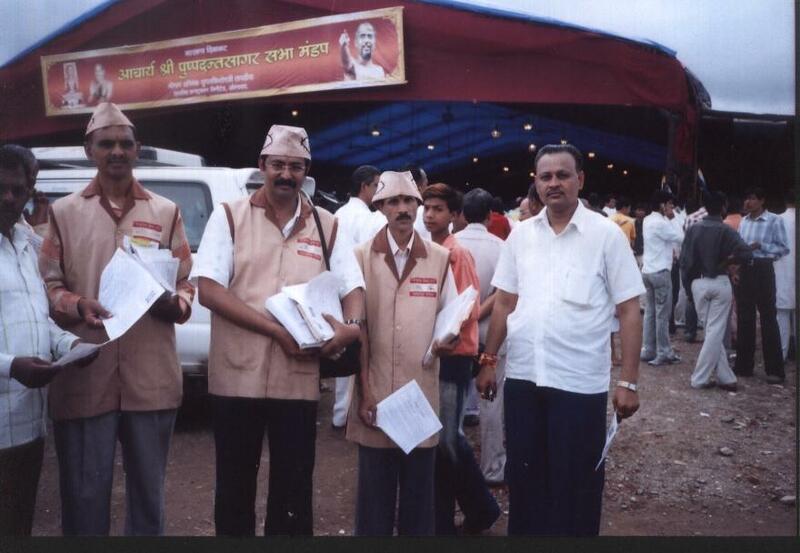 Kishor Soni creating awareness by distributing eye donation information pamphlets in a camp held at Ahmednagar. 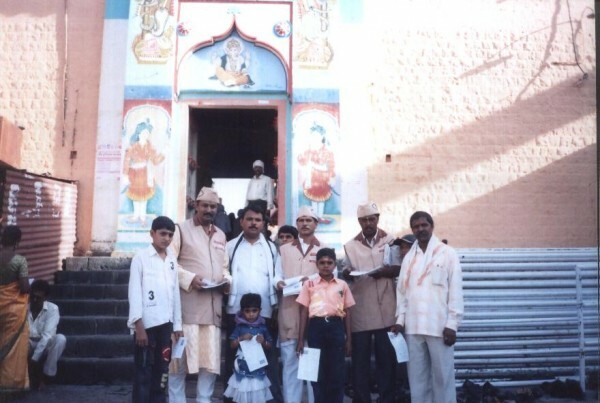 Temple of Jyotirling, Parli Vaijinath, Eye donation camp: Here we distributed more than 3000 pamphlets for Eye donation campaign. Mr. Kishor Soni with the tourists of Parali Vaijyanath (one of the 12 Jyothirlingas). 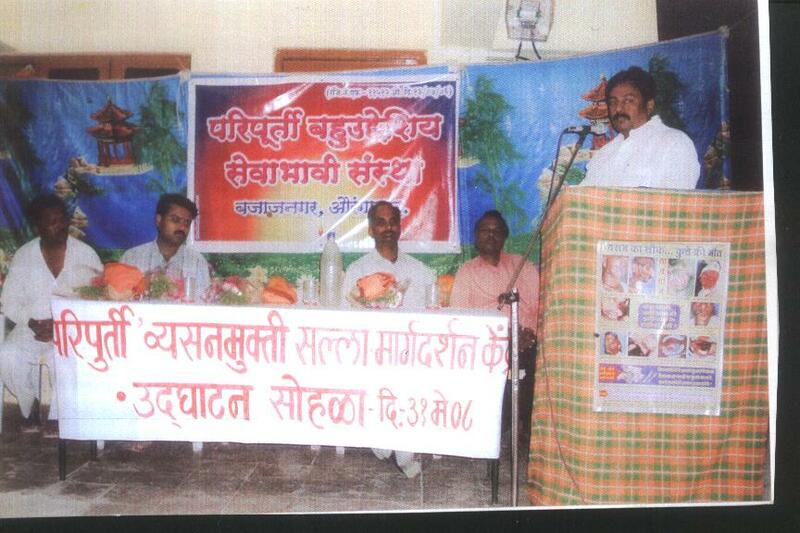 Inaugration programme of Paripurti Vyasanmukti Kendra, Bajajnagar, Aurangabad. In this Ceremony, Ad. 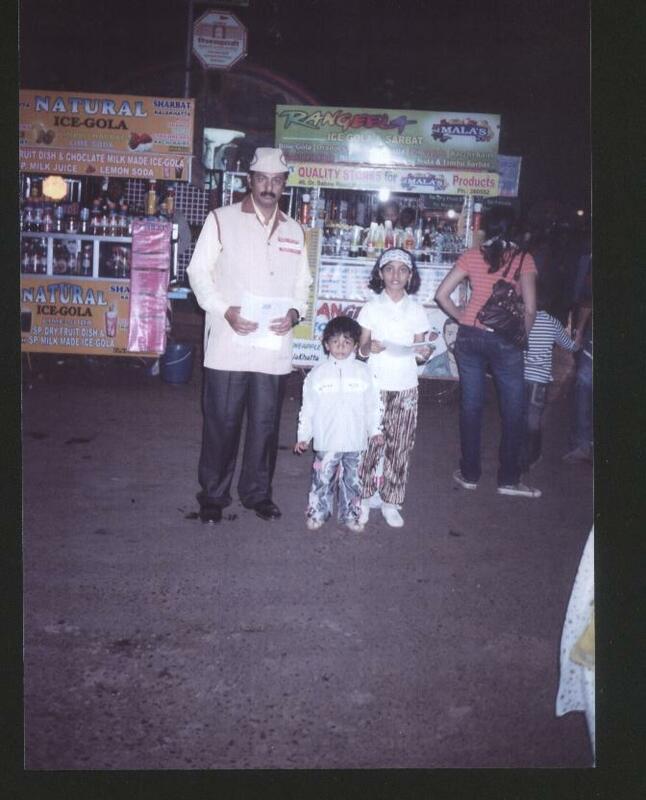 Kishor Soni was the Chief Guest. 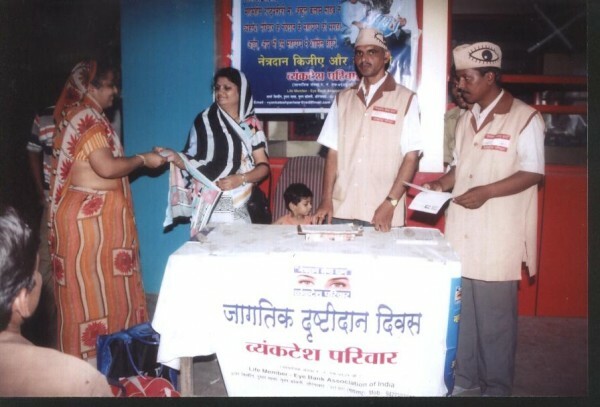 Here we created Eye donation awareness. the president expressed his views on different social problems of our society. Mr. Kishor Soni explaining information regarding the importance of eye donation. Drishtidan diwas : Eye donation camp at Central Bus Stand, Aurangabad. Here we distributed more than 3000 pamphlets for Eye donation & 14 eye donors signed their consent letters. Ad. 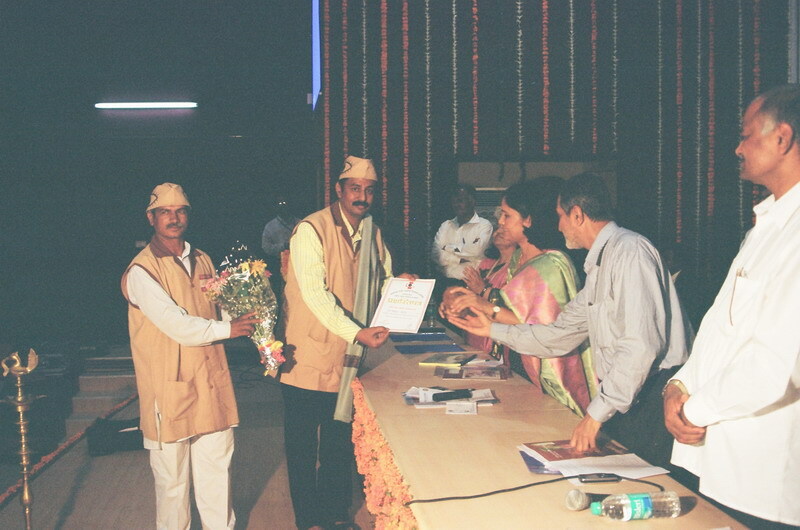 Kishor Soni was awarded by the Health Minister of Govt. of Maharashtra, Dr.Vimaltai Mundada for his nobel & unique activity of eye donation. Here we created awareness about Eye donation. At Shirdi Saibaba Temple Eye donation camp, we distributed more than 10,000 pamphlets for eye donation . Ad. 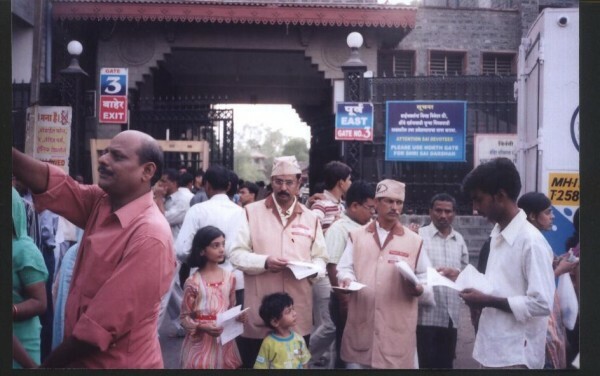 Kishor Soni creating awareness of eye donation in Shirdi. Letters to Maharashtas MLA for Eye donation :- 4th july to 20th july 2008: A request letter was send to 288 MLA of Maharashtra to open an Eye Bank in their constituency for increasing Eye donation percentage. 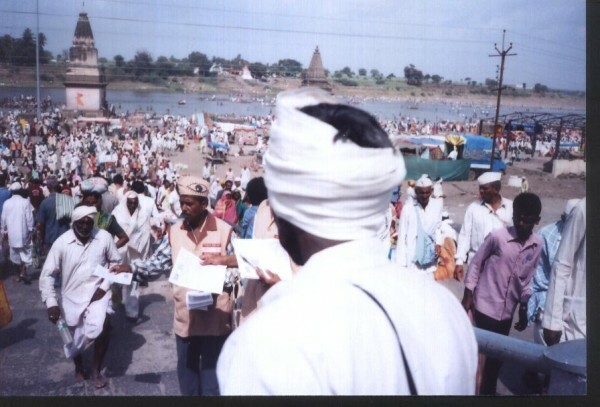 Pandharpur Yatra for Eye donation :- 12 to 14 july-2008: Here we distributed more than 65,000 pamphlets in our 3 days for Eye donation campaign. We also saw more than 8 lks pilgrims and tried to convince them for Eye donation. Here we met people from all parts of society (from top class to lower class). Ad. Kishor Soni creating awareness of eye donation in Pandharpur. Eye donation campaign near river Chandrabhaga. 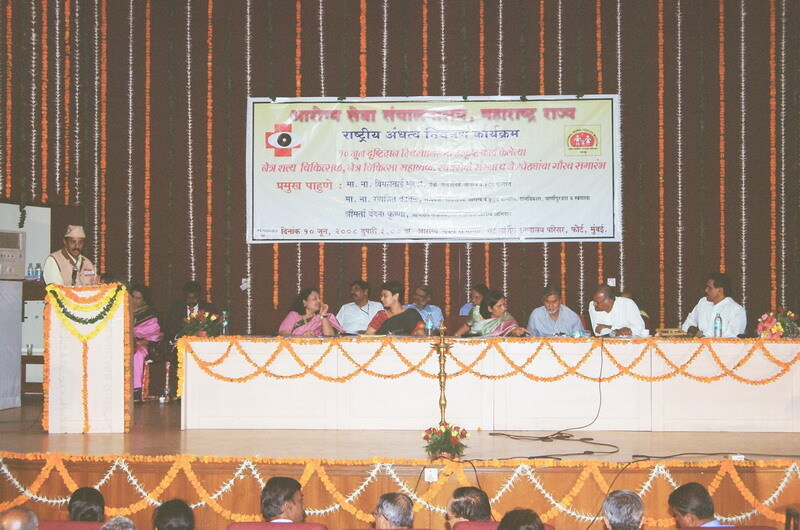 Mr. Kishor Soni explaining the information regarding 'what is eye donation?' at Bus stand of Pandharpur. 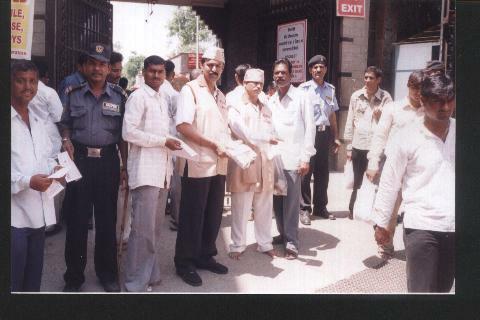 Bank of Baroda 100 yrs celebration with Eye donation team :- 19th july, 2008 At samarthnagar branch : Here we distributed more than 300 pamphlets for the campaign of Eye donation. Here 8 eye doners signed their consent letters. Eye donation stall of Vyankatesh Pariwar at the Bank of Baroda in Aurangabad. 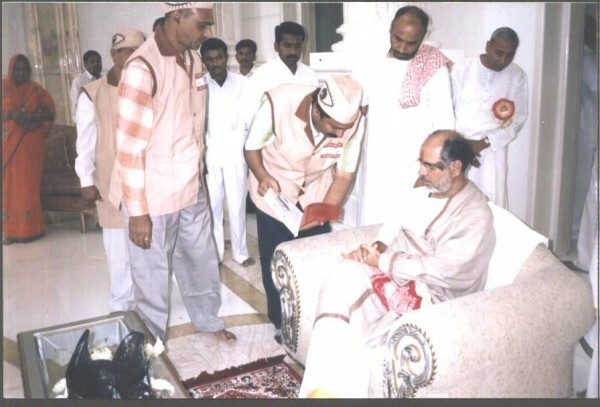 Krantikari Jain Muni Tarunsagarji Maharaj :- 13th to 15th August-2008 Swamiji gave blessings to us and to our Eye donation movement. He was very happy and promised that, whenever he gets an opportunity he will positively express his views on eye donation, blood donation and body donation. He appealed people in his pravachan for Eye donation. 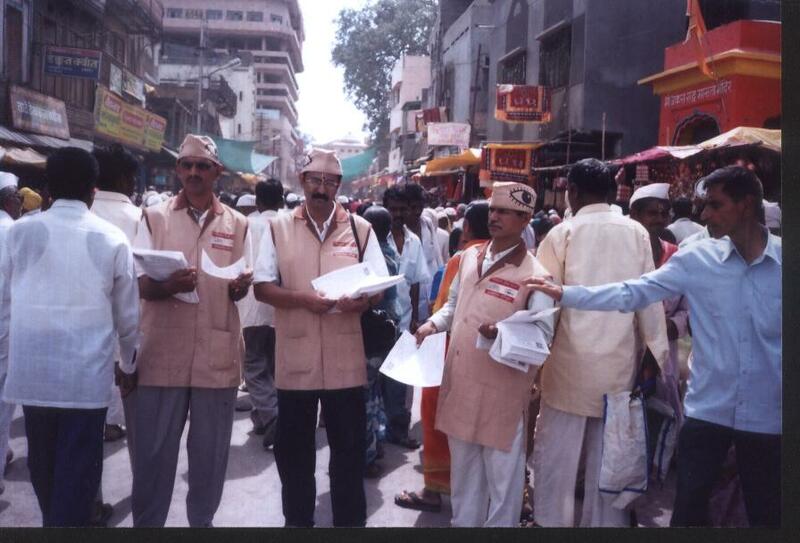 Here we distributed more than 15,000 pamphlets in our 3 days campaign for Eye donation. Ad. 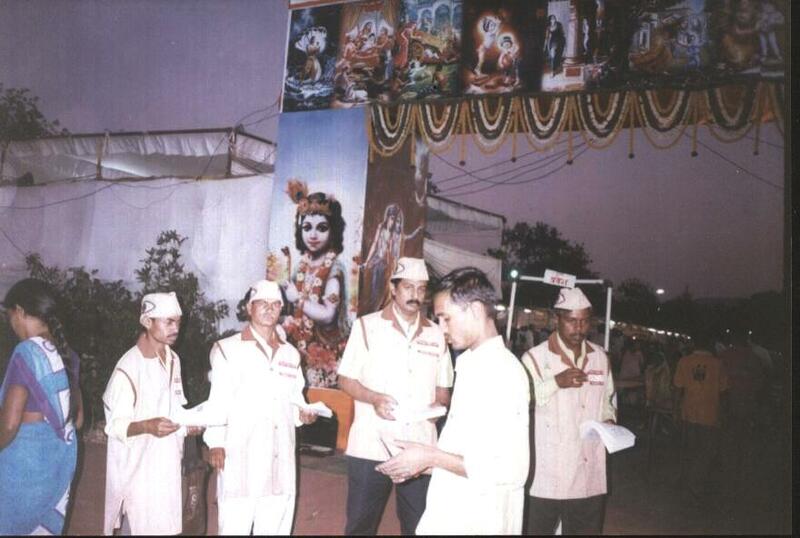 Kishor Soni & his team explaining the importance of eye donation to the followers of Tarunsagarji maharaj in one of his camps. Ad. Kishor Soni & his team giving the information of eye donation. 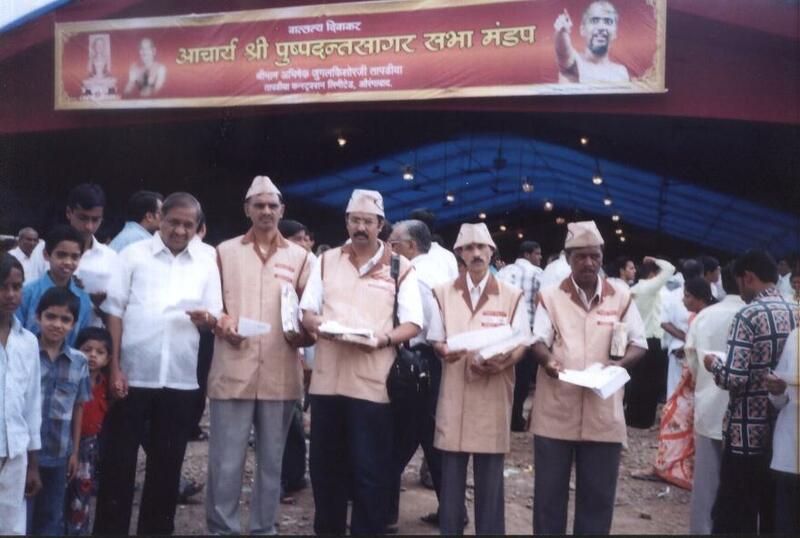 Shirdi saibaba Temple Eye donation camp :- 23rd Nov-2008 Eye donation campaign at temple areas : Here we distributed more than 5000 pamphlets for Eye donation. Mr. Kishor Soni distributing eye donation pamphlets at Shirdi. 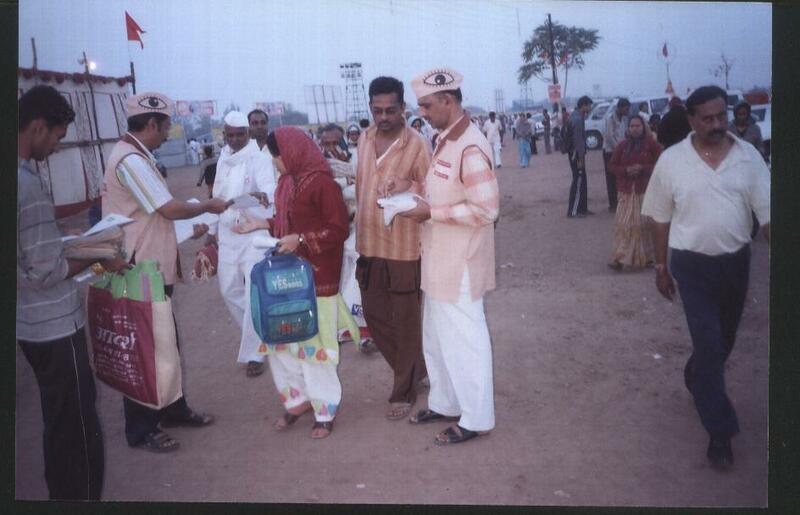 Shri Swami Hari chaitnyapuri Maharaj :- 30th Nov 2008 Here we distributed more than 750 pamphlets for Eye donation. 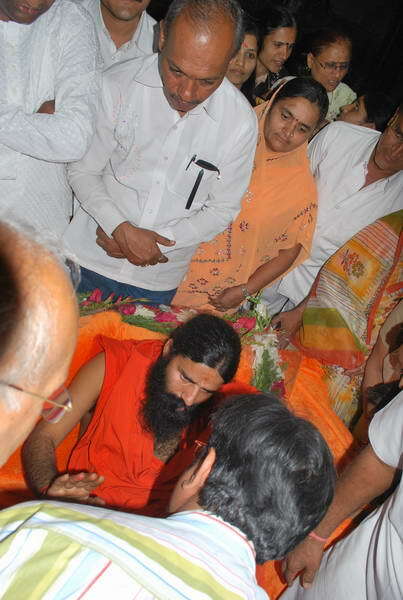 Swamiji appreciated work done by vyankatesh pariwar for Eye Donation. Swamiji always appeals to people about Eye donation in his Pravachan. Swamiji told us that “bahot accha kam kar rahe ho mere bachho”. God bless you and all your family. 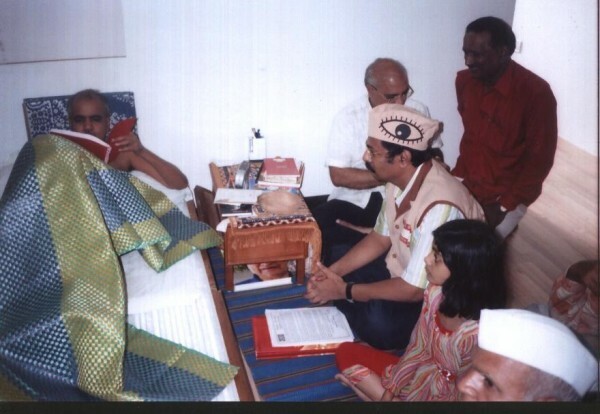 Shri shri 1008 Hari Chaitanyapuri Maharaj taking a look at the eye donation work done by Vyankatesh Pariwar. Swami Ramdevji Yoga Shibir at Aurangabad :- 10th Dec – 15th Dec, 2008: Eye donation campaign: Here we distributed more than 25,000 pamphlets for Eye donation campain. Swamiji appreciated work done by vyankatesh pariwar for Eye Donation. Swamiji taking information about eye donation from Kishor Soni. 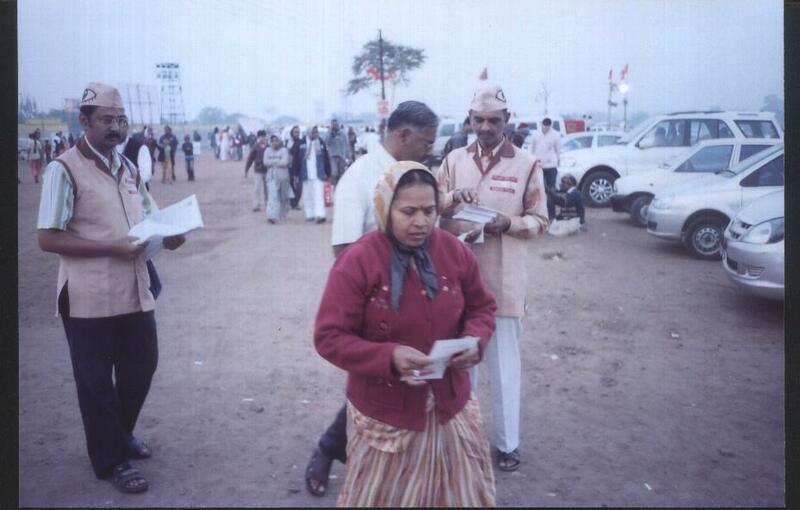 19th Dec – 21st Dec, 2008: Here we distributed more than 1500 pamphlets or Eye donation at different-different places.